Download the demo and try fotoBiz X for 14 days. You can also download the manual, which is not included in the demo package. When you are ready to buy, you can purchase online at any time. We’ll email you a code that will unlock the demo and you’ll be able to continue working right where you left off. Choose your operating system below and download your fotoBiz® X demo today! *fotoBiz® X for High Sierra or Mojave is a separate demo program. Please choose the OS 10.13.+ Demo version above. What do I get when I download the fotoBiz® X demo? 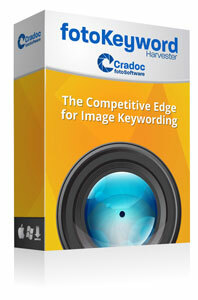 The demo version of fotoBiz is the complete program. You will be able to try all of the main functions of the program. FotoQuote Pro® 6, our photo pricing is built into fotoBiz X. While in demo mode you will be able to view the titles of all of fotoQuote’s 304 categories. When you click on a usage to select it, the demo only allows you to view the pricing in one category, Brochures. The Stock and Assignment Coach topics only give you access to a few of their screens. You can see examples of the Assignment Coach topics; Business.Steps to an Assignment and Interview.The Art of Negotiation. 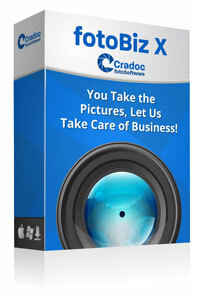 Cradoc fotoSoftware fotoBiz® X is a comprehensive, powerful, and easy to use business management software available for your stock and assignment photography estimating and billing needs. 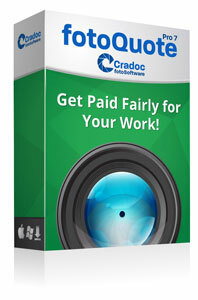 It is the favorite of professional freelance photographers worldwide! No monthly fees, No annual fees. *fotoBiz® X for High Sierra & Mojave is a separate demo program. Please choose the High Sierra Demo version above.